﻿﻿ Replacement Windows & Doors Darien, IL | Dilworth Windows & Doors Inc.
Is it a Good Investment to Install Replacement Windows and Doors in Your Darien, IL Home? As a homeowner, it is fun to think about the ways you can create the home of your dreams. Even if you live in an older home, a few renovations can go a long way to improving the overall appearance of the property. You should consider the benefits of investing in replacement windows and doors if you want to upgrade your Darien, IL home. At Dilworth Windows & Doors Inc, we have been providing high-quality services in the Chicago area for over 25 years. Our family-owned business has worked hard to provide top-notch service to every customer. We are here to answer your questions and help you create the home you have always wanted! There are many home renovation projects that you might consider. Why should doors and windows be at the top of your priority list? As you learn more about these products, you will see that we can offer a long list of benefits for your family. • Boost Property Value: How much is your home worth? A few upgrades can go a long way to increase your property value and maximize your equity. Then, you will have more money that can be rolled into the purchase of another property. •	Protect Your Family: Did you know that old windows and doors pose a potential safety risk for your family? Not only do they provide an easy entry point for unwanted intruders, but broken locks could be a hazard for young children. •	Protect the Environment: Your daily energy usage has a direct impact on the quality of the environment. If you are worried about the future of our planet, you should consider the benefits of energy efficient doors and windows. These products can seal off your home and reduce the energy needed to maintain a comfortable environment inside. •	Save Money: Tally up your utility expenses over the past few years and you will see that it costs a lot of money to manage a household! Decreasing your utility costs is one effective way for you to cut back on your monthly spending. High-quality doors and windows help with cost management because of the energy efficient benefits they offer. •	Quiet Living Space: How often do you hear noises from the neighborhood? It is common for homeowners to complain about the sound of dogs barking, kids yelling, or cars driving by on the road. These sounds can be reduced with high-quality windows that insulate your home. •	Natural Sunlight: Increasing the sunlight in your home is a fast and effective way to boost your mood each day. Choose high-quality windows that will bring in the light when the sun is shining outside. Look at all of those benefits that you can enjoy when you invest in replacement windows and doors! If you want to upgrade your property, there is no reason to delay the renovation of your Darien, IL home. When Should You Upgrade the Windows? Now that you can see the benefits of purchasing new doors and windows, you are probably wondering when you should make this investment. How do you pick the right timing for your home? In many situations, there is no reason to wait to install these new products! Making the investment right away means that you will be able to enjoy these benefits as soon as possible. When you are getting ready to invest in your home, it makes sense that you should choose a contractor you can trust. A high-quality contractor will deliver excellent products and offer competitive prices to help you save money. Some people turn to family and friends for recommendations about window contractors in the area. If you receive these recommendations, make sure to do your homework so you know more about each company before you buy products and hire installations. A quick online search will help you learn more about each company. Read the reviews of other customers to get an idea about the quality of service you can expect. 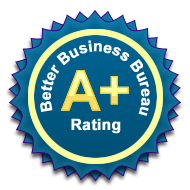 Here at Dilworth Windows & Doors Inc, we truly care about the results we deliver. We want to build a solid relationship with our customers, so we always provide the best solutions to meet your needs. Is it time for you to make the investment in replacement windows and doors in Darien, IL? Then you need to call our team at Dilworth Windows & Doors Inc. You can come to our showroom at 223 N Cass Ave, Westmont, IL 60559. Or call to schedule an appointment for your complimentary consultation: (630) 960-4300.